Citron (நார்த்தங்காய்) is a type of citrus fruit that has a unique fragrance and thick skin. Unripe citron is green, while the ripe fruit is yellow in color. In traditional medicine, citron is used as a remedy for digestive problems. 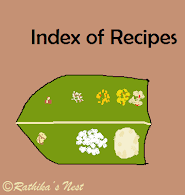 Tamilian cuisine uses citron for making pickles, kuzhambu and pachadi. Method: Wash and cut the citron into small pieces. Place the citron pieces in a dry jar. Add salt, turmeric powder, asafoetida and green chillies. Mix well. Cover with a lid and allow the pickle to stand for 4 days. Mix the contents well using a dry spoon once every morning and evening. On the fifth day add methi powder and mix well. Allow the pickle to stand for a day before using. How to prepare methi powder: Roast methi seeds in a kadai on medium flame till the seeds turn reddish.Remove from fire. Cool to room temperature and powder the seeds in a mixer-grinder. You may use a mortar and pestle to powder small quantity of methi seeds. 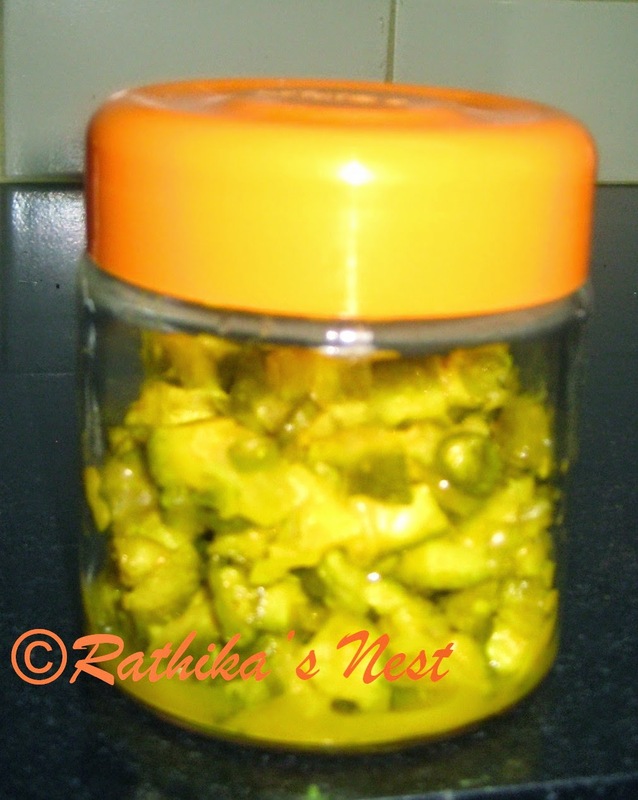 How to care for the pickle: Store the pickle in an air tight jar or bottle. Always use a dry spoon for handling the pickle. Mix the pickle well with a spoon once everyday.